The new facility houses approximately 61,500 sf of the executive and management arms of this national headquarters. 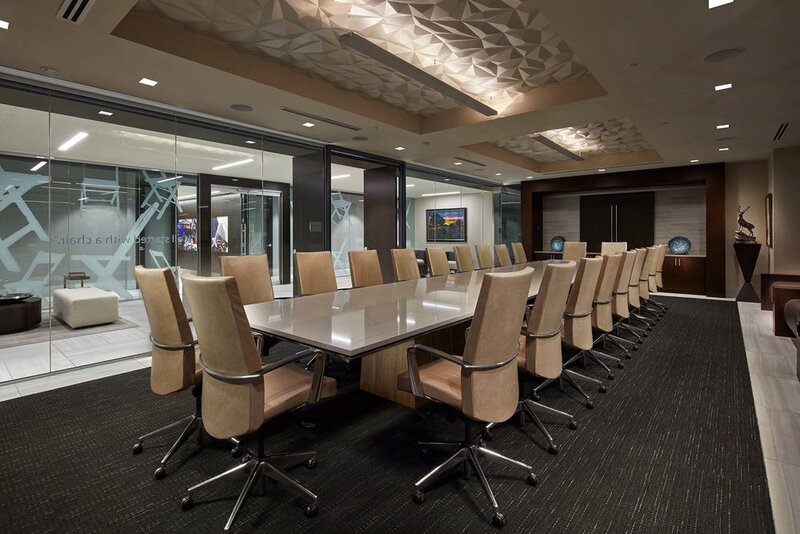 This project included full-scope interior design services with programming, visioning, design, and contract documentation along with custom graphics, furnishings, art and accessories. A welcoming but secure lobby with adjacent meeting space, large multi-use break area hubs, reconfigurable meeting/training rooms with break out zones, and a multitude of ‘work setting' options support the staff. 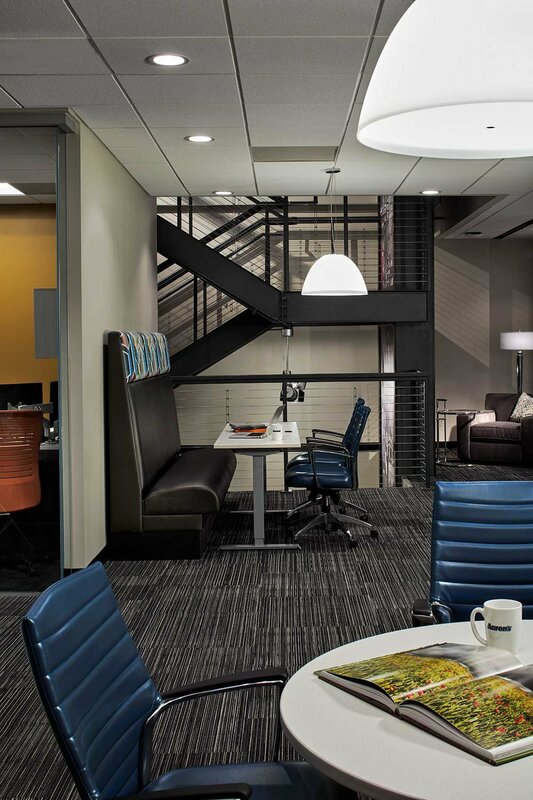 An integrated design approach yielded a more open floor plan with a generous amount of meeting space. The team developed new workplace standards that were created to exceed functional expectation while shrinking overall footprint as the direction of work flow shifts into the new millennium. A prime directive from the company leadership was to modernize the work environment in an effort to attract and retain a vibrant workforce. During this transformation, the leadership did not want to lose the connection to its roots and long corporate history. In order to honor and embrace that rich heritage, the design team was tasked with branding the company history and guiding principles; both as a way to express who the organization is to the outside world and as a reminder to the staff the on-going foundational values of the company.